The team normally flies to the away games a day before the game and gets there mid-day with time to prep and have meetings. But, this trip was delayed because of plane issues and they didn’t end up leaving until almost 3am the morning of the game flying from Northern Idaho all the way to Alabama. This was after driving to the airport in Spokane, which is an hour and a half away, once already that day. They didn’t get to the hotel in Alabama until around 9am on game day, and kick off was at 2pm. It was insane, to say I was stressed for the game is an understatement. But, after all of the crazy traveling for them with little to no sleep, they had a great game we WON!!!!! Definitely shows that hard work and determination pays off. I am SO proud and happy for Eric, the other coaches, their families and the team. These players put in so much hard work, it is the best feeling to see them win and see all of their hard work pay off. 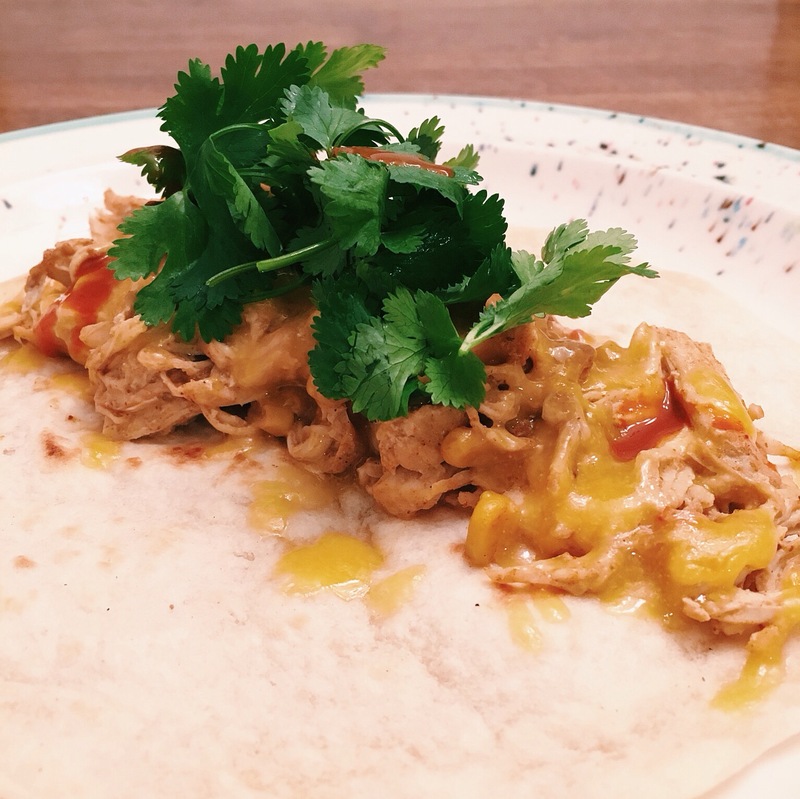 The chicken burritos I made, that I’m calling “Big Win Chicken Burritos” ;), are one of my favorite easy recipes that Eric’s mom shared with me awhile back. It is simple, can all be thrown into a slow cooker and is really filling. Thank goodness I saved a little at home for myself! Put all of the ingredients listed above in a slow cooker. Give a stir and cover with lid. Cook on low for 4-5 hours stirring occasionally. When chicken is cooked through and falling apart, shred with 2 forks. 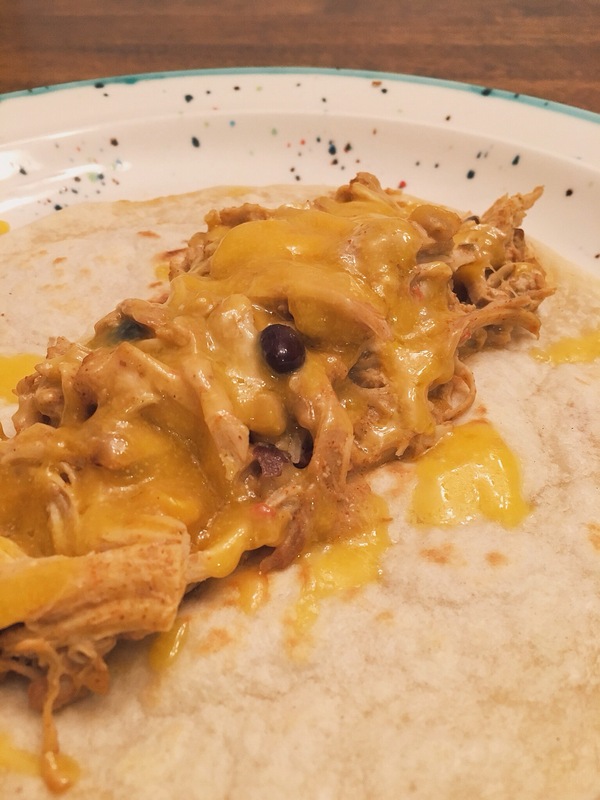 Serve warm in tortillas with cheese and your favorite toppings; we like sour cream, cilantro, salsa and hot sauce. This weekend is the homecoming game, wish us luck! Go Vandals!